Incorporate one of these small liquid diaphragm pumps into your machine or analyzing instruments for low flow fluid sampling or circulation. 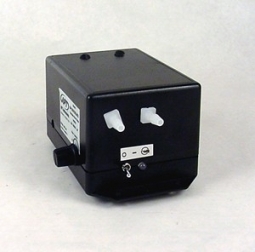 Integration is simple with the small size and power requirements of these unique little pumps. 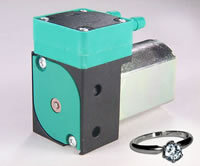 These self-priming pumps can run dry for extended periods without damage. Select from either cased or OEM models with different materials of construction. Low noise and vibration for a long service life. Intermittent duty. Molded polypropylene or PVDF pump head. EPDM or FFPM check valves. Discharge pressure to 15 psig; Suction to 10 ft. Compact  48 x 22 x 36.5 mm, 60g. Brush and Brushless DC models available. Download PM10VO Product Sheet (.pdf; 35.4KB). Download PM10VC Product Sheet (.pdf; 36.8KB).